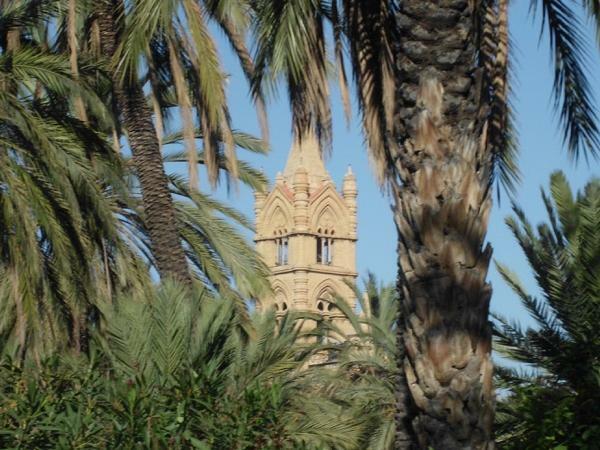 Traveler Reviews for Private Tour in Palermo, Sicily, Italy by Tour Guide Bianca D.
Bianca has an extraordinary knowledge base about Palermo with respect to its history, religion, architecture and culture. She readily shared that with us which made our tour exceptional. She is an outstanding professional tour guide which made out time together very special. Excellent day in Palermo. Very knowledgeable guide. Pleasant and personable. Highly recommend. Bianca was so helpful and very knowledgeable. She was very prompt with communication even when we were late into Palermo. She customized the walking tour to our interests. Thank you! Bianca exceeded expectations. In 30 years of sightseeing in Europe I have never encountered such a thoroughly knowledgeable guide. Her mastery of Sicilian history, art, architecture, botany, and cuisine was extraordinary. As a classical scholar, I can attest to her ability to translate the Greek and Latin inscriptions in the cathedrals. She also explained the Christian and Islamic iconography in the churches we visited. She is also a very pleasant person who is willing to customize your tour as you wish. Friendly guide. Good local knowledge. Responded to our particular requests. Provided an interesting introduction to Palermo. Bianca was very knowledgable and tailored our tour to our personal interests. She is a lovely person and was very pleasant. Despite the intense heat, Bianca never "lost her cool" and just kept going....street by street, building by building. She was great. We give her a top rating. TOUR GUIDE RESPONSE: Thank you Martha. It was a pleasure to meet you and your family and thanks for visiting my country. I wish you a very nice journey and hope all of you will taste the well known Sicilian summer breakfast we spoke about. Best regards. Bianca was wonderful, professional, fun, and highly knowledgeable. Having traveled extensively throughout the world, I would rate her as one of the best guides we've encountered so far. Book a tour with her and you won't be disappointed.